I am joining Chari at Happy to Design for her Sunday Favorites. I know some are reposting Fall posts, but I wasn't a Bloggin' Betty then, so I have nothing to post. So I'll skip ahead to one of my least viewed posts when I first started blogging..at least to many of you it will be NEW!! But it is APPLE season, so maybe you can try the pie! It is bitterly cold....I know it is winter, and some of you have this all the time....but ICE..hate it. Maybe I should get those things for your shoes they sell on QVC with grippers?? And tonight another gifting of precipitation...I was planning to break out of here tomorrow, so we will see! The biscuits are in a tiny wagon that came with the display pieces....the sled you saw on the table yesterday...there's a bike, a, wagon and a wheel barrow too. I don't want to collect them anymore....I have enough, and some are so pretty they deserve a better display than the guest powder room! The gkids like to see them, and always count to make sure the number hasn't decreased! Not like hers at all...and dh wanted to know why I was grating cheese on the pie! But since most of you don't know what I was aiming for, I will show this anyway! Mike believes in eating dessert first, so he did! Have a great Sunday, thanks Chari for hosting! Very interesting. I've never seen shredded crust before. Thanks for sharing! I DO remember this post!!! 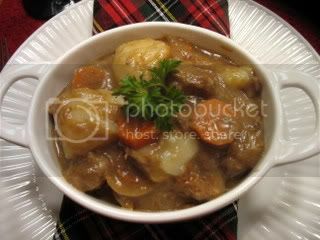 That stew looks so good - it's getting so cold at night it would hit the spot right now! I remember this post. In fact, I thought I might try the shredded crust. What a cute post! 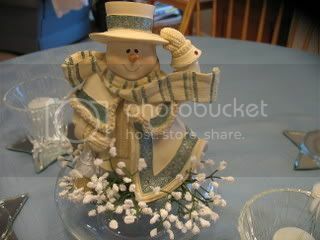 I love snowmen -- don't have many, but the ones I have I leave out past Christmas, because I consider them winter decor! 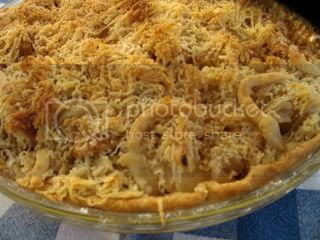 That pie looks yummy -- never shredded crust, but I have cut phyllo dough into tiny slivers and formed birds' nests out of it, for shells for creamed seafood. Never thought of shredding pie dough! Love your little snowmen. I understand about not wanting to collect any more. I have a few collections like that ..seems they have just 'runaway with themselves'. In fact I have my dining room in SUCH a mess right now. Cleaning out hutches and trying to decide what the grandkids MIGHT want someday and try not to give it ALL to Goodwill. I would really like to do that very thing!!! ooo, and meant to say to tell Mike that CHEESE on top of warm apple pie is worth killing for!! I remember that pie and also who posted it on that other forum ;) Your slice looks so good. 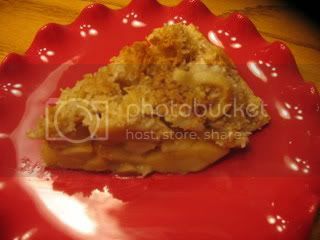 We had apple pie and ice cream Friday night. There is nothing more tasty on a cool evening! I am really not looking forward to those Frosty days, though, no matter how cute he is! As wonderful as that stew looks, I'm not ready for winter or Frosty. Kathleen, yummo!! I can't wait for holiday EATING! HA. 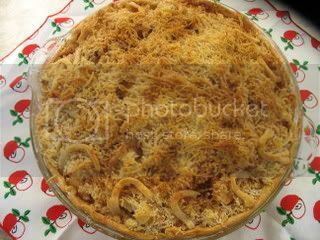 Apple pie is a fav! Looks delicious! So happy to have you join in the fun of Sunday Favorites again this week, my friend!!! I love this post...it's about that time of the year again! Autumn is pushing its way into Colorado...the perfect time for some of that delicious looking stew!!! Mmmmm...yummy!!! 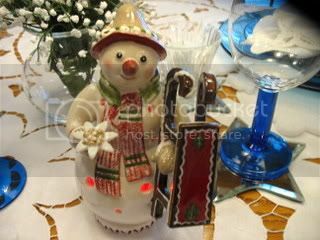 Your table was gorgeous too...and ohhh, all of those pretty snowmen!!! I collect them too...and...if you ever want to get rid of some of yours...hehe!!! Girl, I have always heard of warm apple pie with cheese...I think it sounds scrumptious but I have never tried it! I will have to do so...your photos sure made me have a "hankerin'" for some!!! Hehe!!! Your food always looks so delicious. I have plans to make several of your recipes, soon I hope. Have you had any formal training because I definitely see the passion. Oohh!! That pie looks some kind of good! Thanks for stopping by my blog. I hope that you'll visit again. That pie looks divine! Thanks for sharing. I hope you will join me for Crock Pot Wednesdays at Diningwithdebbie.blogspot.com. My "blue" this week is part of a tribute to Julia Child. Hope to see you signed up with Mister Linky. I like eating dessert first too! That Mike is a clever guy! 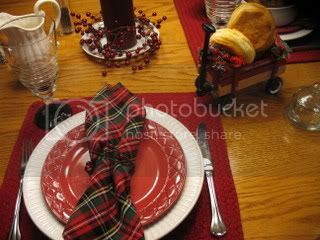 Your table setting is beautiful and it looks like you are a wonderful cook. That beef stew and bisquits. Please visit me and leave me the receipt. dang girlie, that stew looks scruptious and the wagon with the biscuits!! My kids would love for me to incorporate their John Deere tractors or red wagons for a fall scape...be watchin'. Just checking in! Email notifications?